Future readiness for students requires understanding how technology can solve problems regardless of career path. Modern skills like algorithmic thinking are important for many career and technical fields, and standard computer science just isn’t motivating to all students. MobileMakersEdu is a way to ‘light up’ students around coding and foster an entrepreneurial mindset - students learn coding and design skills to bring mobile app ideas to life, and in doing so acquire career-ready and soft skills. Throughout this mobile app coding course, students build working apps for Apple’s mobile devices using the language and tools of professionals – Swift and Xcode. 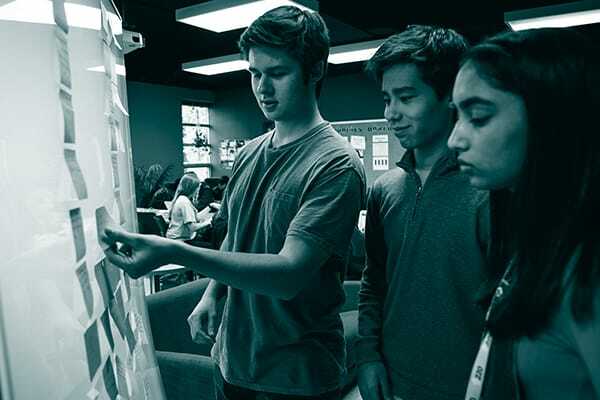 Students experience an authentic workplace environment applying the methodologies and practices of real-world developers, and acquire skills around teamwork, problem-solving, collaboration, and communication. 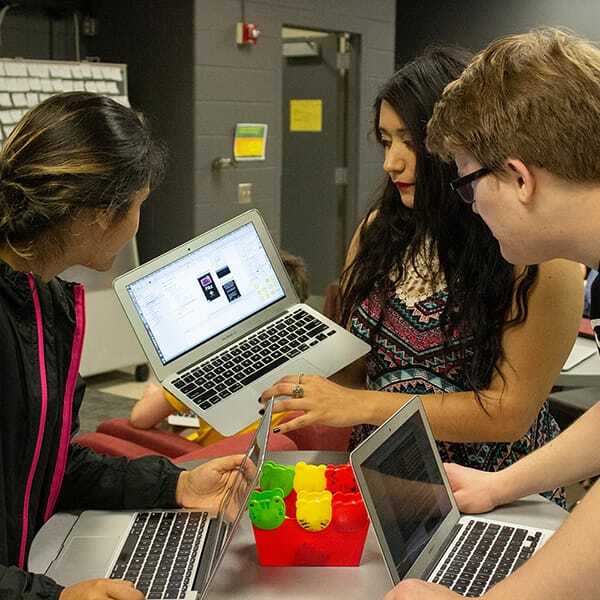 The apps students build grow in complexity throughout the year, culminating in an app showcase, where students demonstrate an app they built of their own design. 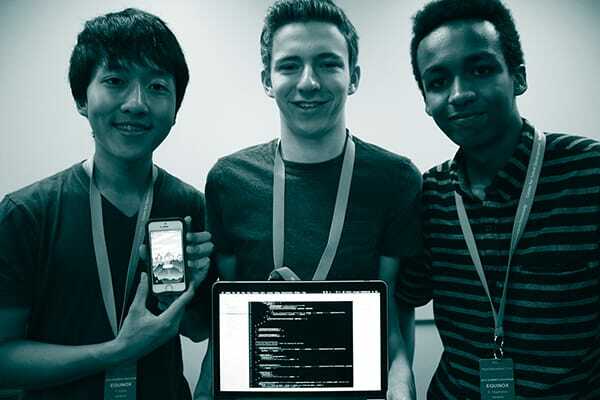 MobileMakersStudio is a second-year course where students advance their Swift programming skills, and apply design-forward skills to investigate a client need and develop a mobile app solution. 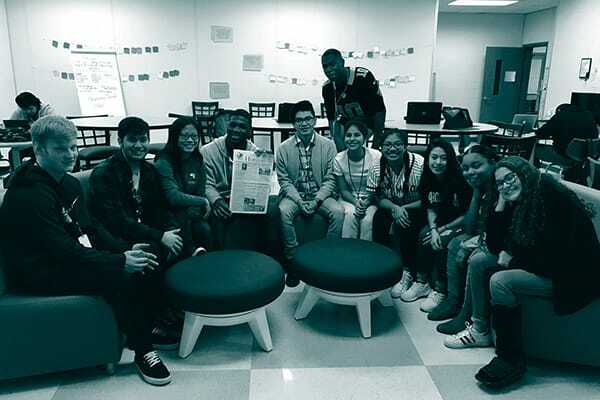 Using client management and dev team methods from the industry, students grow their interpersonal and management skills, in a classroom designed to act as a working development studio. Students leave the class internship ready, having worked with clients to create and build an app from ideation to working app. MobileMakersEdu: Student Experiences from MobileMakersEdu on Vimeo. Entrepreneurs rely on a range of skills - from finance, operations, sales, and marketing to technologies. 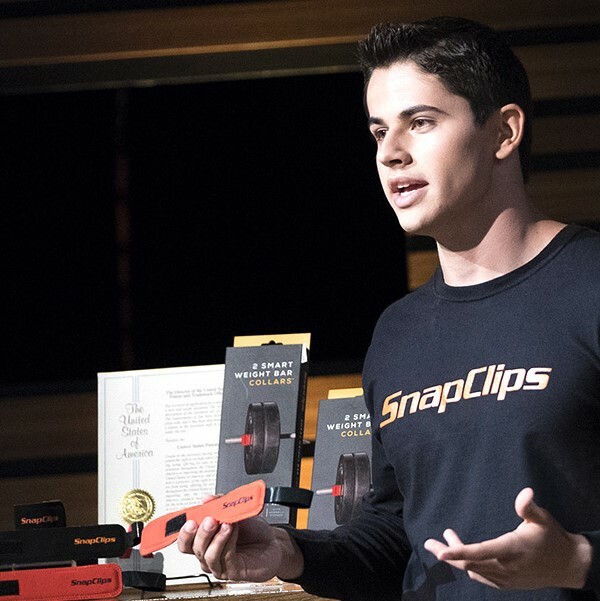 So much of our world today involves technology and apps, and a working knowledge (and demystification) of coding and hands-on experience in building apps is important. MobileMakersEdu is a great entry point for learning to code, or a complement to a deeper focus around computer science. Learning to code has the effect of teaching someone how to think differently -- how to break down problems into small, separate parts to understand impact and then drive solutions. How do you connect and prepare students to thrive in a technology-driven and interactive world? Mobile applications are used daily by students for fun, education and to be social. Introducing coding and programming to students in a way that is tangible and relatable to daily life is powerful. Throughout these hands-on courses, students build working apps for Apple iOS mobile devices using the language and tools of professionals - Swift and Xcode, and students work in an authentic ‘dev shop’ environment. MobileMakersEdu is designed to be flexible to fit any curricular cycle and a number of educational departments and pathways - business, entrepreneurship, CTE or computer science. Students build real working iOS apps, this is not a simulation. The student role is one of active learner of concepts and practices, then builder - to create mobile apps that increase in complexity during the course. Students learn best when actively creating and solving problems they care about. Even more so when supported by peers, and a community that appreciates and recognizes their accomplishments. An app development shop environment for students supports this type of experience and connects them to the meaning of their learning. Students are assessed on course learning outcomes and the development of entrepreneurial mindset and behaviors. This is a project-based learning environment that includes interpretation, application, and reflection to demonstrate learning progress. Throughout this full year or single semester course, students build mobile apps for Apple’s mobile devices using the language and tools of professionals – Swift and Xcode. Courses are geared towards grades 8-11 and students are not required to have prior coding experience. Teachers receive comprehensive training and ongoing support. Professional development kicks off in summer with pre-work and a multi-day bootcamp lead by iOS developers partnered with instructional experts. We provide a proven method for training educators to learn how to develop iOS apps using the same curriculum they will use in the classroom. Teachers continue to grow and stay current with iOS updates and releases during the school year through virtual meetups, collaborations in Slack, and return every year to level up their skills and app mastery at the annual MobileMakersEdu Summit. Uncharted Learning collaborates with schools to implement this technology building, workplace-like experience within their districts. This includes onboarding and set up meetings to discuss how to identify the right teachers, how to convert a classroom into a dev shop environment with Apple hardware, and how to promote the program in the community. Any Apple computer or laptop that can support the most recent iOS. Xcode and ibooks (free in Apple’s App store) will support the curriculum. Students need internet access and permission to visit sites like Vimeo. For students who have completed the full year MobileMakersEdu course, MobileMakersStudios provides an experience to advance their Swift programming skills and iOS design skills. Using client management and development team methods from industry they investigate a client need to develop a mobile app solution. Geared towards grades 10-12 students leave the course internship ready. Comprehensive digital library of materials including lesson plans, video, assessments frameworks and rubrics. Teachers receive comprehensive training and ongoing support. During the summer training, educators learn how to run and manage client relationships to support a development team, same as their students will experience in the course. Teachers continue to grow and stay current with iOS updates and releases during the school year through virtual meetups, collaborations in Slack. and return every year to level up their skills and app mastery at the annual MobileMakersEdu Summit. Uncharted Learning collaborates with schools to implement this workplace-like experience within their districts. This includes onboarding and set up meetings to discuss how to identify industry partners in your area for collaboration and connection to internship opportunities. The teacher becomes the pupil. We train teachers of any discipline to teach mobile coding courses at their schools. MobileMakersEdu offers comprehensive, professional development as part of program membership. Teachers are trained in the Swift programming language, the curriculum for a year-long/or semester long course(s), best practices in Computer Science, pedagogy for successful iOS development courses, and are provided toolkits for creating authentic workplace environments at school. Our community mimics the real-world developer community, and offers a robust support system to both our educators and students alike. From professional iOS developer mentors to a vast collection of resources, we offer educators what they need to run a successful and engaging program. Uncharted Learning is fee-based (by school, not individual student) and comparative to other curricular investments. Each program membership we offer includes a scope of implementation (onboarding) and comprehensive resources including lesson plans, activities, assessments, professional development, and ongoing support. All member schools are provided online access to the program’s rigorous curriculum and support materials via a password-protected custom website. Your team is onboarded with a series of meetings to ensure successful adoption and implementation at the school level. Annual training includes a three-day comprehensive professional development experience for your core teaching team. Year One training focuses on building teacher practice using swift programming and the app development curriculum. Second year MobileMakersStudio PD training dives deeper into areas required to lead students as they are managing client relationships. Licensing fees provide continued access to program materials, enhancements, and a professional learning community. "The reason I got up in the morning and was excited to go to school was because of the INCubatoredu class." As a certified Apple Professional Learning Provider, we offer training designed around the App Development with Swift Curriculum provided by Apple. We share the vision that coding is an essential skill that everyone should have the opportunity to learn. The Swift programming language is both easy to learn and is used by leading app developers around the world. The recent approval and increase to Perkins V Grants helps bring innovative programs like MobileMakersEdu to your schools. Over 70% of Uncharted Learning member schools have applied for and achieved approval to use Perkins as a resource for funding these Programs. The Uncharted Learning team can lend consultative support around grants and financial support for districts and administrators pursuing entrepreneurship curriculum.